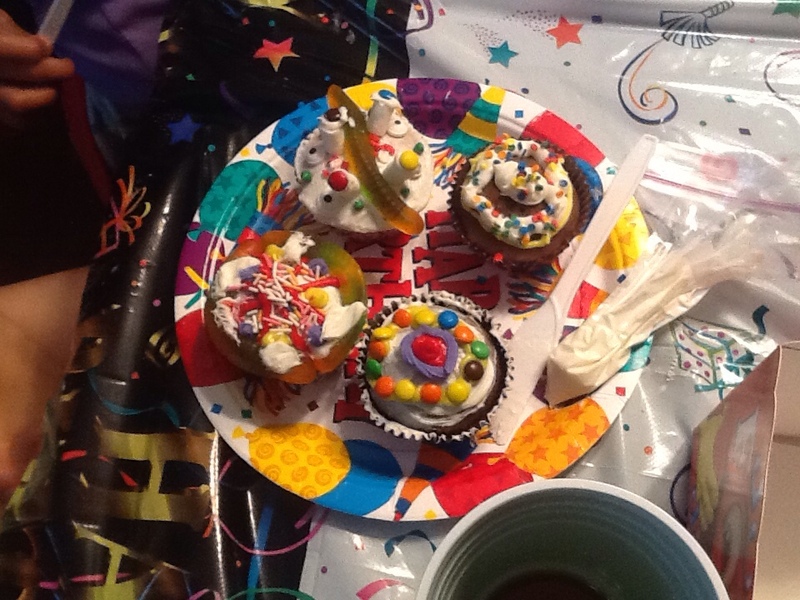 Cupcake decorating party | ARTZCOOL'S BLOG! Sam and I decided that for her birthday party, we needed a little craft or activity for the kids to do. 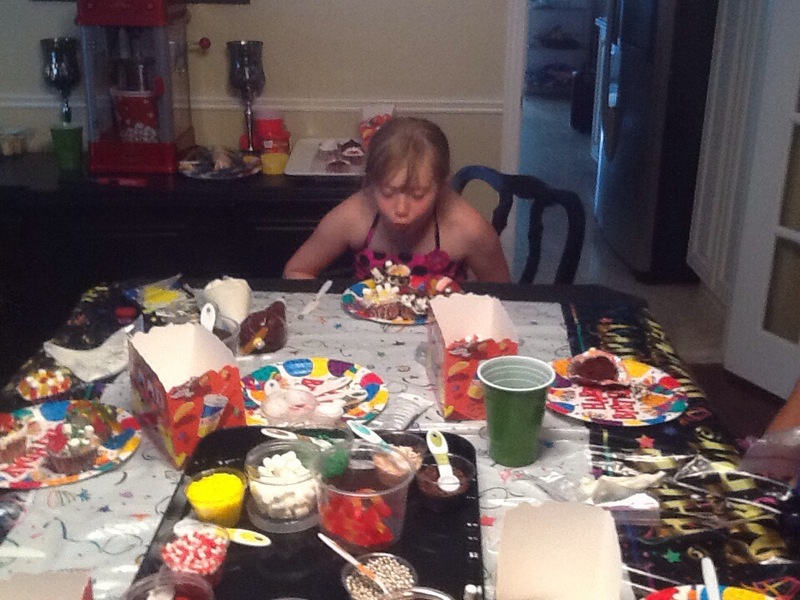 I thought that a jewelry party would be a great idea, but Sam overruled that idea…. 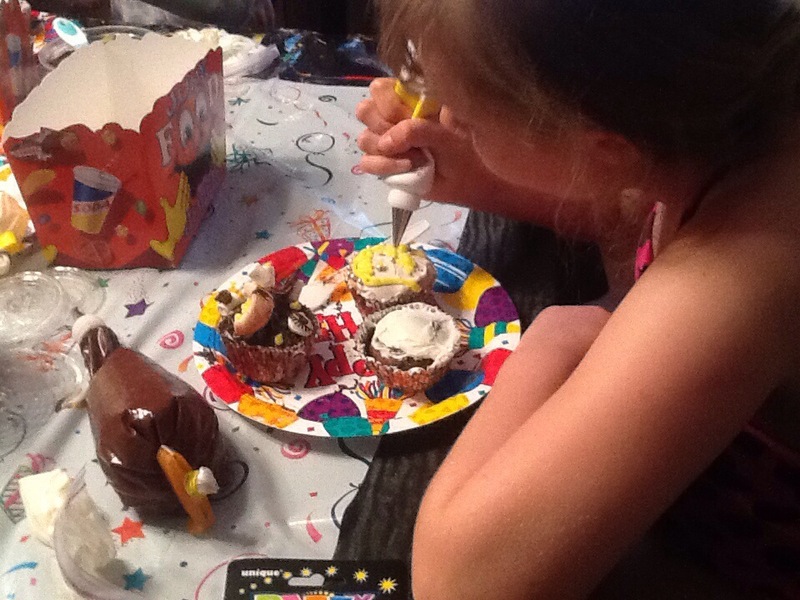 I missed the days when I could pick the theme, or talk them into thinking my theme was their idea :)… anyways, we both agreed that decorating cupcakes would be a fun idea. It worked really well, the kids enjoyed it and all went home with a few cupcakes too! 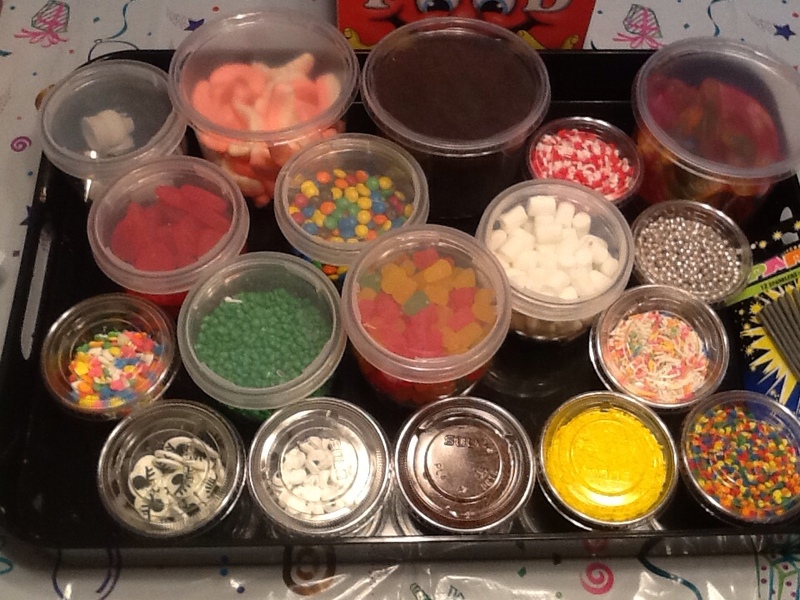 As with many of my cooking and baking crafts, it all started with a trip to the local Bulk Barn… We picked out a bunch of sprinkles and toppings. I also picked out some candy eyes, and lips so they could make faces, and some oreo cookie crumbs, and gummy worms so they could make dirt and worm cupcakes. Then I arranged them in plastic containers from the dollar store. Here is the dining room table set to go. 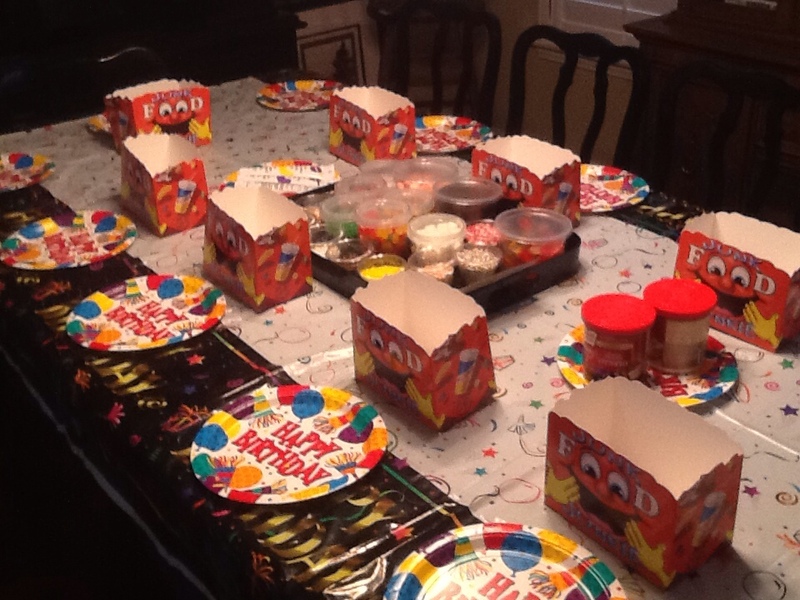 I gave each child a knife, and plate, and as you can see, we bought little boxes to use to take their cupcakes home. 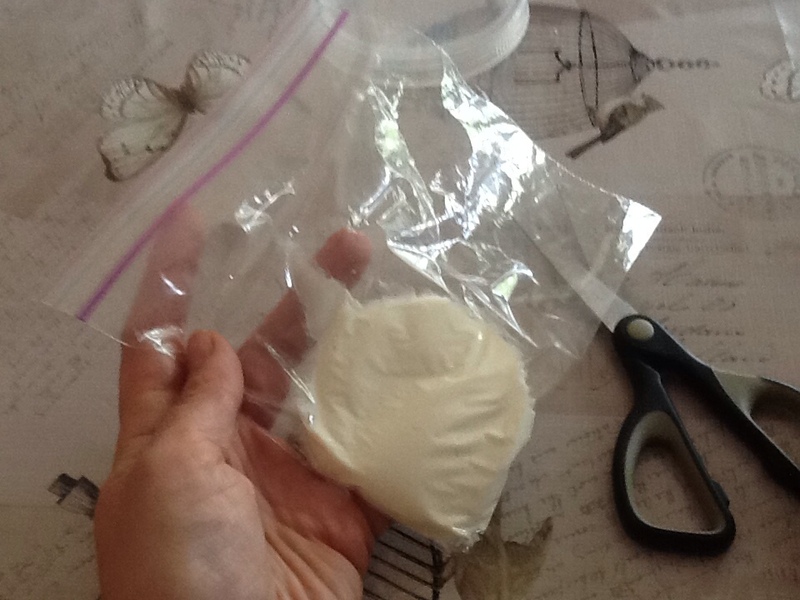 I also put a couple tablespoons of icing in a sandwich bag for each child, then snipped off the corner to use as icing bags. 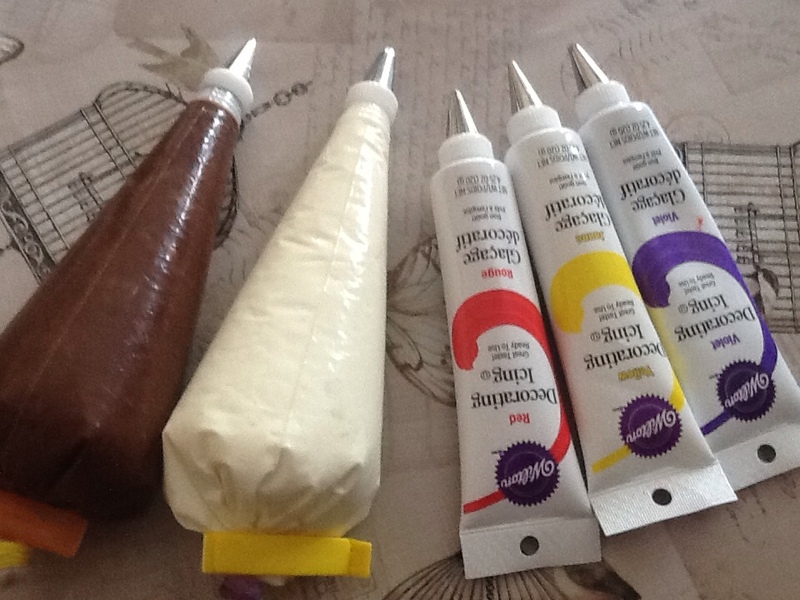 And filled a couple piping bags, and tubes of icing. We were expecting about 12 girls, so I made two cake mixes, which made 24 cupcakes, or 4 for each girl. The girls seemed really pleased with their cupcakes, and were happy to take a few home too! Overall, the idea worked really well, not only did it keep the kids busy, it also saved me a lot of time, not having to make and ice a cake!